Software services shouldn’t operate any differently, including those for franchises. Naranga provides an all-encompassing platform for your business, from finding the right leads all the way to managing operations and selling to a global marketplace. Capture, qualify and convert more leads into sales with emaximation. 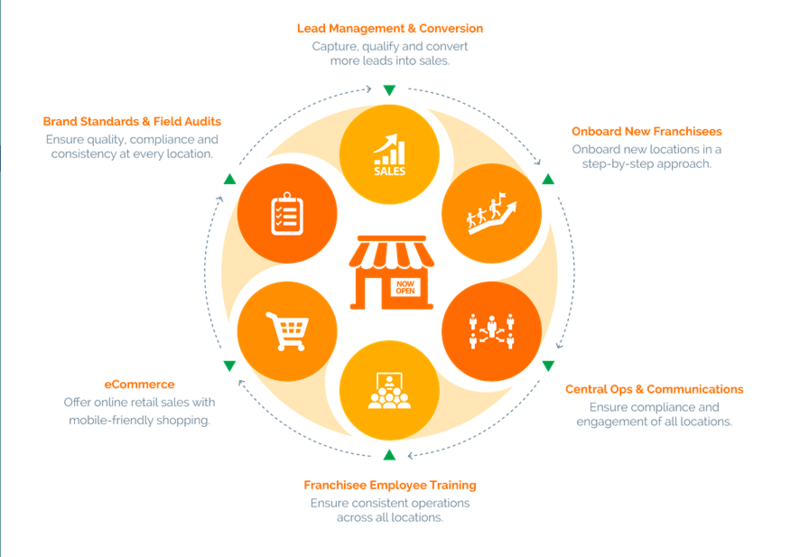 Onboard new locations in a step-by-step approach and ensure compliance and engagement of all locations with ncompass. Ensure consistent operations across all locations with nspire. Offer online retail sales with mobile-friendly shopping with clementine. Ensure quality, compliance and consistency at every location with nsight. 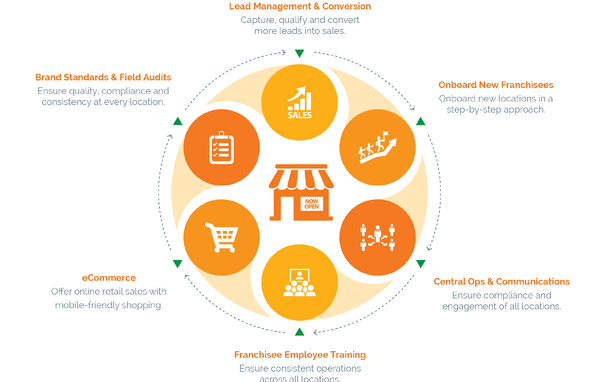 Offering all solutions under one roof, as one source of truth, allows for a unified approach to business growth. When a software solutions provider understands how difficult it is to successfully manage and grow a multi-unit location franchise business, and then applies personal experience to create a suite that will scale and flex with your brand, you have to appreciate that level of passion. The Naranga suite is a tried-and-true platform that scaled a leading franchise brand from one to more than 1400 locations. Educate yourself on the possibilities it offers and take advantage of a dynamic enterprise platform. Why hold your brand back from growing seamlessly?